Cellist and composer, Janel Leppin arranged works by Susan Alcorn while working and studying in Seattle, WA. She wanted to include instruments that would blend together to emulate the thick, resonant sound of the pedal steel guitar. Leppin worked to bring together musicians who love Susan Alcorn's music and who both read and improvise music at masterful levels. 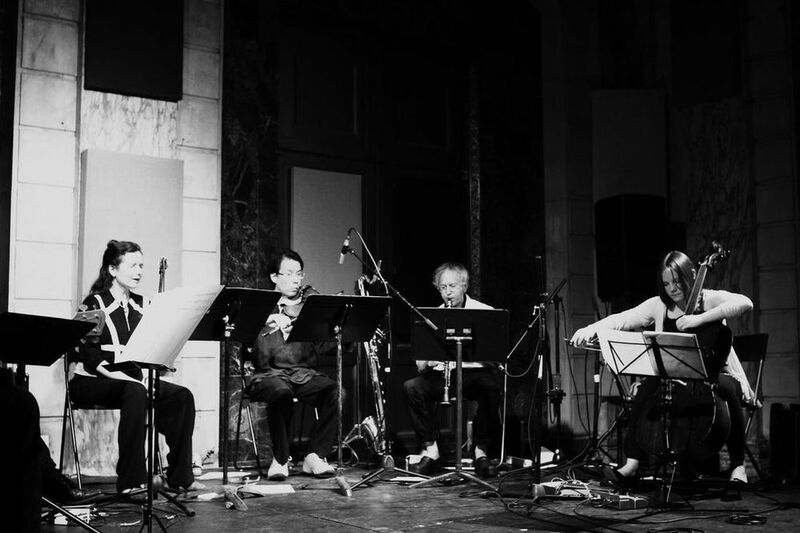 The ensemble was absolutely a dream group through which the mastery of Susan Alcorn's compositions shined. Legendary pedal steel player Susan Alcorn was asked to do a two night residency at the Issue Project Room in Brooklyn, NY. She invited Janel Leppin to arrange her works and to curate a set for the residency. On May 30th and 31st 2012 Susan performed her arrangements of Astor Piazzolla's music, Country Western standards in a very non standard and elegant way, as well as performing a thrilling and masterful solo performance. For the final set, she said that she wanted to sit back and listen to her own music from the audience.